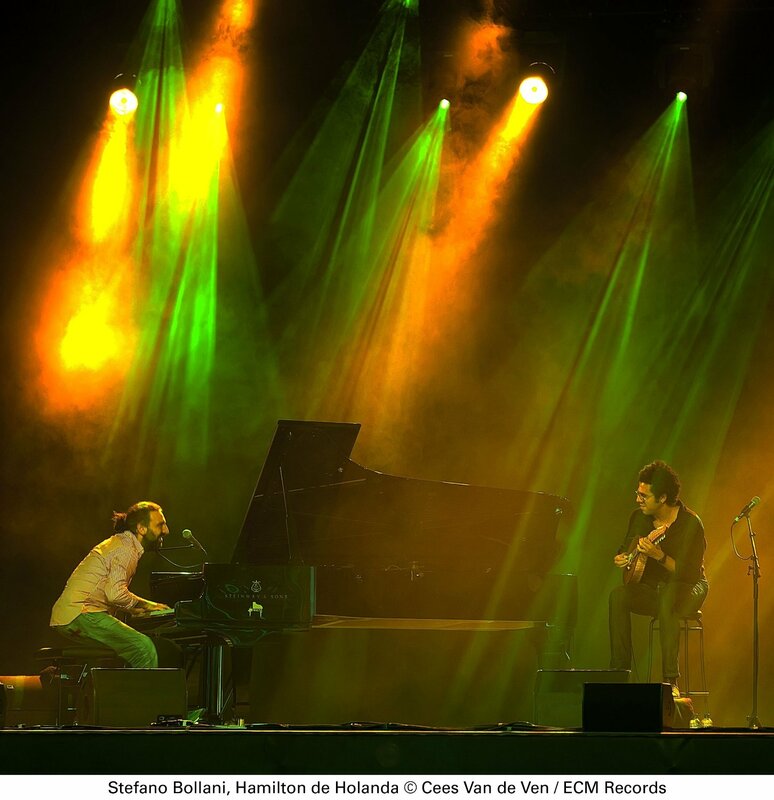 Since first sharing a stage together at a 2009 music festival in northern Italy, Italian pianist Stefano Bollani and Brazilian bandolim (10-string mandolin) maestro Hamilton de Holanda have met frequently as a duo. In this, their first full live album, they expand their commitment to beauteous improvisation in an electric atmosphere bound by faith in the moment. While not such a surprise in terms of programming—Bollani has, after all, extolled his passion for Brazilian music on Orvieto, and elsewhere—the album sparkles with ingenuity. 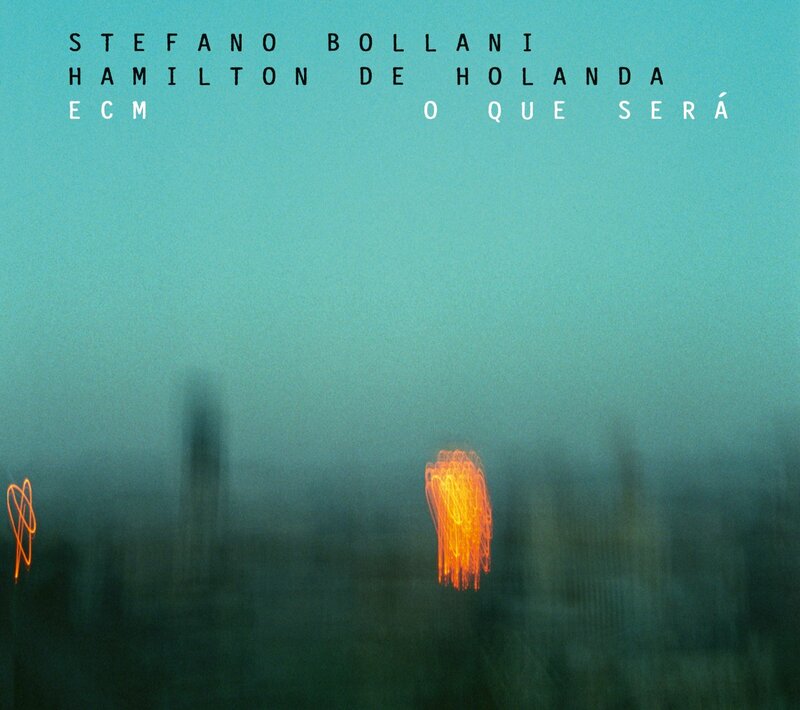 In his pointillist fervor, Bollani has an obvious affinity for Chick Corea and Scott Joplin, while de Holanda’s playing dovetails Django Reinhardt and Egberto Gismonti at their best. These are a mere few of the many influences one might read into the notecraft of these consummate virtuosos, to say nothing of the great composers whose timeless melodies fly from their fingers. That said, the verdant, sparkling relays of Bollani’s “Il barbone di Siviglia” and the crystalline wanderings of de Holanda’s “Caprichos de Espanha” hold their own alongside classics from Astor Piazzolla (“Oblivión”), Antonio Carlos Jobim (“Luiza”), and Pixinguinha (“Rosa”). In their capable hands, such timeworns are fresh as summer while the originals feel like folk songs torn from the pages of a shared past. Across the board, de Holanda’s picking is restless but never overbearing. Bollani in the meantime emotes assuredly, caressingly, and all with a smile like the setting sun. Two tracks of strikingly different character epitomize the duo at its most attuned. De Holanda dominates the ins and outs of “Guarda che luna” (Gualtiero Malgoni/Bruno Pallesi), in which his impassioned singing inspires cheers and laughter from the audience. A memorable relay as he switches to muted comping beneath Bollani’s flights of fancy adds oomph to their pristine musicality. Even more engaging is “Canto de Ossanha” (Baden Powell/Vinicius de Moraes), which becomes a rhythmic master class in controlled tension. The feeling of progression here is so vivid, it’s practically uncontainable. And yet, contain it the musicians do by means of their joyful, flared unity. A smattering of lyrical tunes rounds out the set. Between the lush, balladic opener “Beatriz” (Edu Lobo, Chico Buarque) and the vivacious “Apanhei-te Cavaquinho” (Ernesto Nazareth) that closes, Bollani and de Holanda become increasingly more like each other, reflections of anticipation and follow-through. Like the title track (also by Buarque), their enchantment comes about in the exuberances for which no score has a means of notation. Rarely has a duo been this exciting, and results of this fortuitous encounter rank easily among ECM’s top 10 for the new millennium.